NCR has just released its newest mobile product and it is going to change the way your customer interacts with their server forever. 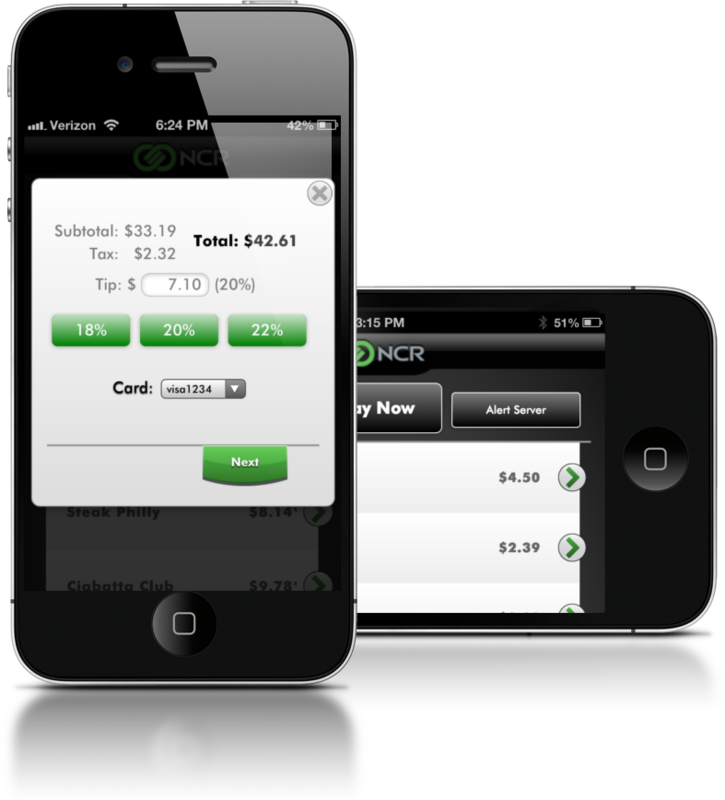 Introducing Mobile Pay by NCR. Imagine a product so revolutionary that it changes the entire customer experience while giving you real time data on their experience, increasing throughput, and tips at the same time. This is not just another mobile wallet, this is a customer experience, this product will put the mobile power right into the hands of your customers with these great features. The ability to view the current check from any mobile device right from the table. That’s right mobile pay lets you view and interact with your check from your mobile phone. The ability to add additional items to your check without the server having to be there. With mobile pay you can get additional drinks or more items simply by ordering another menu item right from your phone. Pay at the table technology. Mobile pay will let your customer view pay an email their final bill right at the table. Empowering guests to set their own pace. The ability of the customer to give real time feed back in specific food items and guest experience. Mobile Pay lets your customer tell you what they think in real time and post their favorite items right to Facebook and Twitter. NCR Mobile pay is ready to go today and we want to show you how it can change the customer experience forever. Let your customers use Mobile Pay today!